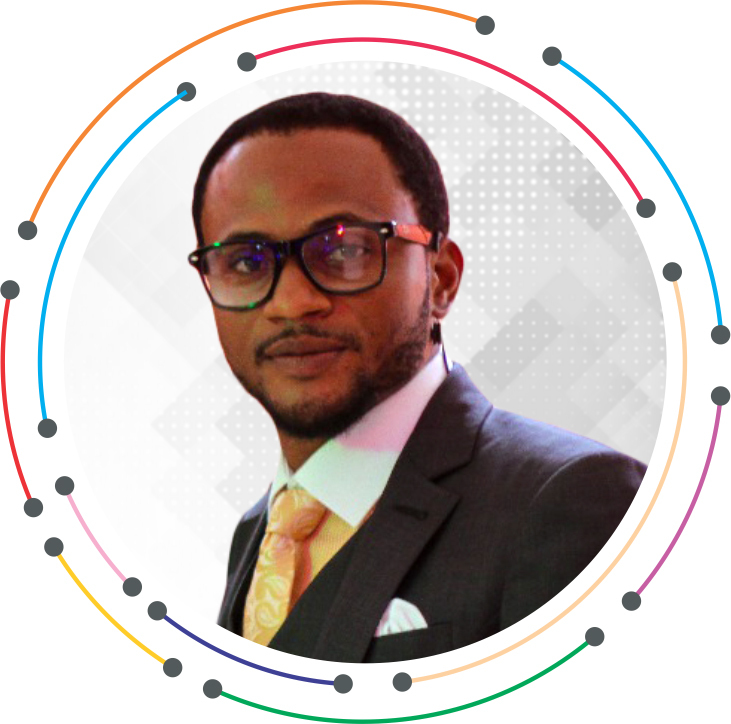 Today we speak with Careca Akarue, CEO of Eurufly, a blockchain ICO based out of Nigeria. We asked him about his work and interests in part I of an indepth interview on the man, his passion and how he came to Blockchain. Tell me about your career/work prior to Eurufly – have you always been an entrepreneur? I have more than 30 years experience in both social and business sectors. I pioneered pioneered various projects including being a founder of Liberty4Africa which is an International N.G.O., with a focus on Health, Youth Development & Renewable Energy. Also, I was deeply involved in 7yrs pastoral duties, reaching out to lost, hopeless people with the gospel of Christ. I had to strike a balance in helping people with not just the word of hope and faith but providing a platforms that can empower them financially. So I began my entrepreneurship journey as a sale professional with my first sales position with the MLM company, Forever Living Products (FLP). In just three months I generated a business turnover of over $190,000 in sales and ever since then sales is now firmly in my DNA. I have built massive teams across the African, Europe and North American markets, I built a Network Marketing Empire and wrote a best selling book titled: Eurushaga, which was reviewed by Bob Proctor and four Millionaires. My network platform is called Changeface, and covers talent hunt platform- Fashion, Music, Modeling, and Makeup Artists. In the early 2000 I also stepped into the aviation space as a travel consultant and today we have a travel and tour company Eurushaga Travel & Tours. I have a lot going on – I am the CEO of the Eurushaga Ltd, a company that provides products and services in global emerging markets, I am also the president of the University of Eurushaga – the birthing place of entrepreneurs – a platform where I campaign under with the “Money Has Moved” mantra. I encourage young people and the school education to focus on primary blockchain Technology, smart contracts, IOT and digital currencies. In 2015 I created the LED – “Leaders, Entrepreneurs and Developers” a platform to promote blockchain applications and crypto currencies. I am also a Founder of Blockchain Consulting Ltd as well as being an advocate of crypto currency, and aim to successfully open the African markets for three blockchain firms. I am also a keynote Blockchain speaker across Africa, North America and Europe, Recently I took part as a speaker and panel at Blockchain 360 and IOT Security at Boston MA. USA, Topics discussed included: “Examining Practical Blockchain Uses across Various Industries. Decentralized the Aviation Markets, and The expectation of Crypro currency and what to expect in 2018. Wow, that is a lot of activities both in social impact and business. Tell me about your blockchain interests outside of Eurufly. Firstly, I am working with a Cross Border Payment and renewable energy supply with blockchain. I actually got involved in the blockchain with proof of concept of cross border payment, which with blockchain financial transactions can be peer to peer taking away the intermediary and making fees cheaper. Energy/Power supply is imperative to any local or international communities, and with the use of blockchain a huge reduction in the non-manufacturing costs associated with solar energy, which represents nearly 30% of installed solar costs. Using smart contracts and proposed mapping environment, we can streamline the solar supply chain and get resources to people who need them. Where did you get your idea to disrupt the luxury transport industy? Immediately Uber-like Private Jet Charter came to my mind and I began to process the idea. As you know I am in the blockchain space, so I began to decentralize the idea and created this unique new ecosystem for luxury transportation and related industry. Tell me what Eurufly is/does – walk me through the project. The emergence of distributed ledger technology, autonomous drones, and sensor networks presents a tremendous opportunity for aviation companies globally. In many cases, these technologies will create entirely new markets and asset classes for carriers that are able to safely navigate the emergent nature of these technologies present. EuruFly has developed a luxury aviation platform designed to capture these future value streams with scalability in mind. Using a multi-chain architecture, the EuruFly Platform delivers enhanced identity security, a commoditized points system, optimized baggage handling, and clearer communication channels for consumers that demand a seamless, state-of-the-art travel experience. At its center, Eurufly is intended to build access and benefit to under-used private planes and helicopters. Utilizing the Eurufly stage, which is accessible even on cell phones, customers are engaged with a faster basic leadership process with regards to obtaining extravegance transportation administrations. Alongside travelers, pilots excessively get advantage from EuruFly’s foundation through the stages capacity to straightforwardly interface them to customers without the fit of rage of an intermediate administration, which implies a traveler can choose the pilot with whom they would be agreeable to fly with and the other way around. Thank you Careca – that is a lot going on. I will return to this interview to discover more about why blockchain, ICOs in Africa and you vision for the future.